The Thompson Tide: Vegas Baby! After a strong opening round in last week's Fry's.com Open, Michael Thompson slowed down a bit and didn't make it through Saturday's second cut and ultimately finished with a MDF (made cut, didn't finish). He'll look to improve on his results from last week in Las Vegas at the Shriner's Hospitals for Children Open. 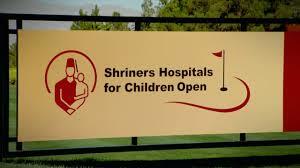 The Shriners is played at TPC Sunderlin and plays to a par 71. Michael is paired with Scott Brown and Ricky Barnes for the first two rounds. They tee off Thursday morning at 8:01am PDT from the tenth hole. Michael is currently ranked 2nd on Tour in strokes gained putting averaging over 1.1 shots gained per round. What a First Round in Vegas! Disclaimer: This website is an unoffical fan page created and edited by volunteers. The views and opinions expressed on this website are those of the authors and do not necessarily reflect the views of Michael Thompson. Care was taken to give accurate statistics and facts, although sometimes errors do occur. If you find an error or omission on the website please email the.thompson.tide@gmail.com.